In a workplace, a conference room is the one that is used to make a good impression on the guests that visit your office. A conference room enables for interaction during meetings and helps set the tone for important discussions. 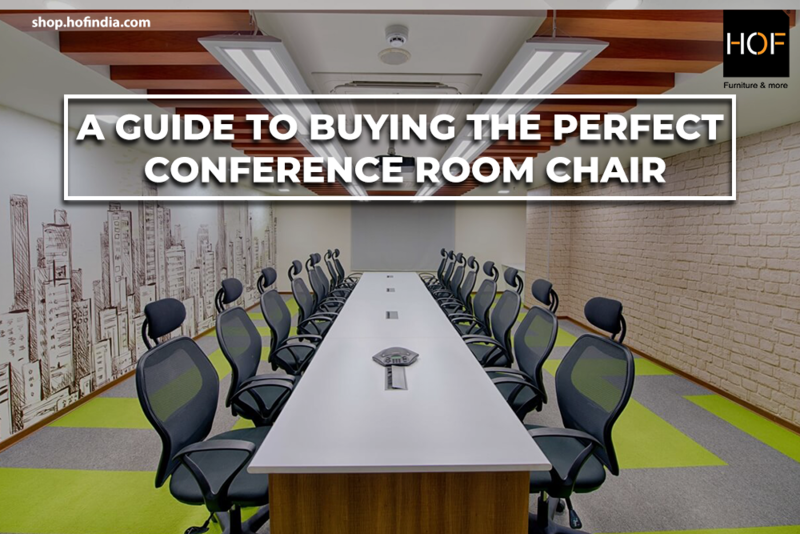 Since conference rooms see a lot of use and contribute to the branding of a workspace, it is essential to ensure that the chairs that are arranged in the conference room are easy to use and comfortable. EASY ERGONOMICS: There are endless benefits of using ergonomic furniture in the workplace. Ergonomic chairs help keep everyone focused and comfortable at the same time. This, in turn, increases productivity and encourages creativity. Meetings usually require the full attention and concentration of listeners. They must be able to deal with workplace problems and tasks instead of changing their sitting positions uncomfortably. Ergonomic office chairs promote good posture and regulate blood circulation throughout the body which can make the employees/guests feel more active. MAINLY MATERIAL: A wide variety of materials are used in the manufacturing of office chairs. These range from fabric and mesh to leather and wood. Mesh back chairs are a popular choice as they are made of breathable texture and enhance productivity. The material you select plays a pivotal role in the overall design of the conference room. APPARENT AESTHETICS: A conference room serves as a focal point of the entire office as it is made to impress and address. Your conference room should not only be accommodating but must also look classy. Colour can change the entire look and feel of a room. Adding furniture that has pleasant shades can uplift your conference room’s aesthetics. Ergonomic chairs go with any kind of room décor and can also reduce distractions while sitting. MAXIMUM MOBILITY: Revolving chairs are becoming increasingly popular in workspaces as well as conference rooms as wheels enable people to turn their chair with ease to face whoever they are interacting with. Durable wheels are essential to facilitate movement and mobility in a conference room. At HOF, we provide you with a wide range of ergonomic and revolving chairs that are designed in Italy so that you can enhance your conference room and office ambience. Visit shop.hofindia.com NOW!